Now on Android! One of the three Bible Reading Notes from BRF published by Aimer, this app has proved to be a major international success for the publisher. Christian daily Bible readings explained and applied especially for women, by women. 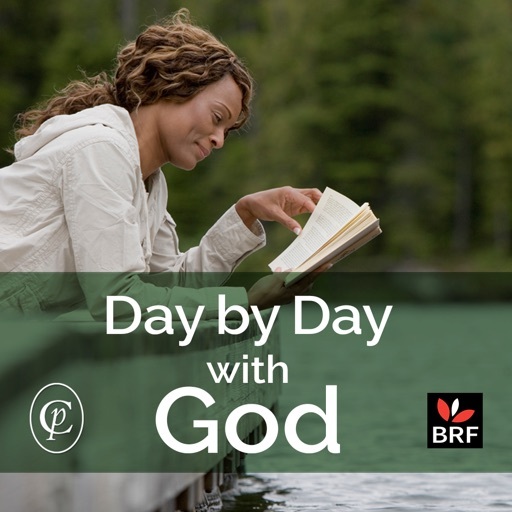 Each day's reading provides a devotional reflection on a Bible passage and a prayer or meditation written by a regular team of contributors. Try before you buy with our sample readings and then decide on which length of subscription you would like. The Day by Day with God app supports the purchasing of 1, 4 and 12 month subscriptions from within the app. Readings are intelligently downloaded in the background so you don't need to remain connected to the internet to access them and once downloaded will remain available on your device. • In-app auto-renewing subscriptions: these are purchased using your iTunes account and automatically renew. To cancel this type of subscription you need to visit your account on iTunes or the AppStore. Day by Day with God is commissioned and edited by Catherine Butcher. The team of contributors include Alie Stibbe, Bridget Plass, Wendy Bray, Anita Cleverly and Catherine Butcher.